Official Memorabilia, in conjunction with Triple Eight Race Engineering, is proud to release 'The Magnificent Seven', commemorating Jamie Whincup's seventh Supercars championship triumph. 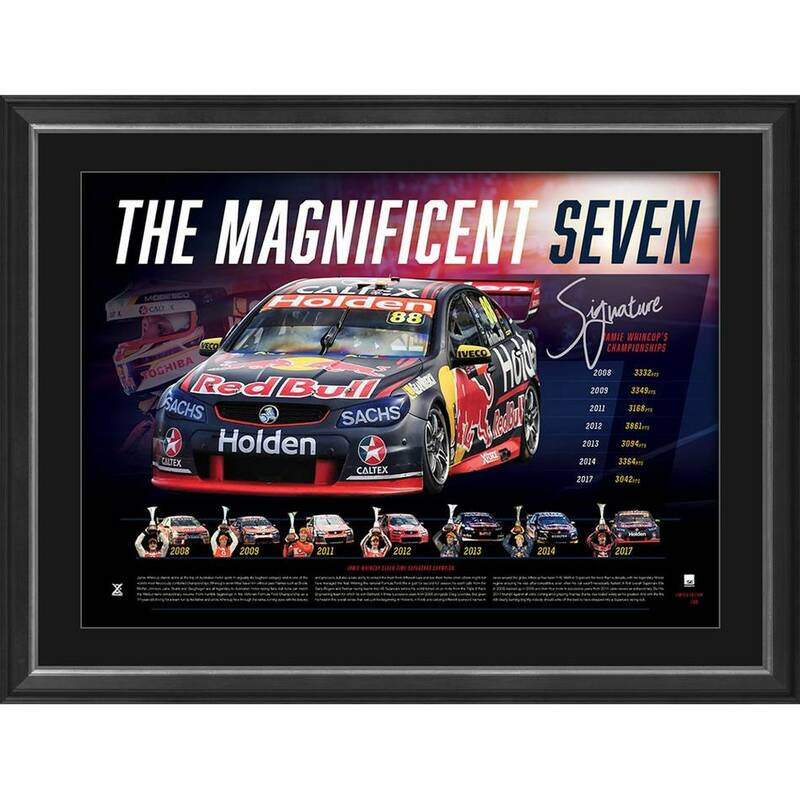 Personally signed by Whincup, 'The Magnificent Seven' is strictly limited to just 100 editions worldwide. Secure yours now as this small quantity will not last long!